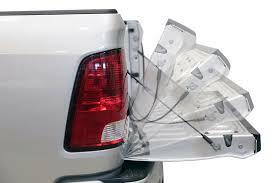 Owners of the Ford F250 and F350 have complained unexpected tailgate openings. If you experienced this problem you may be entitled to compensation or a new vehicle. The F-250 and F-350 trucks are equipped with electronic tailgates that can be opened with the key fobs, but five owners filed complaints saying the tailgates opened without warning and uncommanded. Here’s a sampling of the five tailgate complaints received by NHTSA. “The rear tailgate will open randomly on its own. I’ve taken it in and nothing was done.” Another 2017 Ford Super Duty truck owner says the tailgate has dropped about 17 times and finally the tailgate opened as the truck was going 65 mph on a mountain road and damaged the trailer and tailgate. The driver also said the experience caused him to disconnect the wiring to the tailgate. An F-250 owner said the truck had less than 5,000 miles on it when the tailgate dropped opened uncommanded three times. The driver says the tailgate and trailer were damaged. Finally, another truck owner complained the tailgate had open uncommanded at least 12 times while driving. The dealer had no answer about how to repair the problem and further said there was no way to disable the tailgate lock. The driver also complained there is no warning light to indicate when the tailgate is open. Ford had issued a technical service bulletin (TSB) 17-2196 to dealers in October 2017 for 2017 F-Super Duty trucks built on or before June 7, 2017. Titled “Intermittent Electrical Concerns, Rear Parking Aid Camera Inop And/Or Uncommanded Tailgate Opening,” the TSB talked about a wiring harness numbered 14405. The bulletin said the Super Duty trucks could suffer from water intrusion into the wiring harnesses and cause uncommanded tailgate openings. In addition, there may be a loss of communication on the speed controller area network (MS-CAN) and water intrusion could also cause problems with the rear-view cameras. 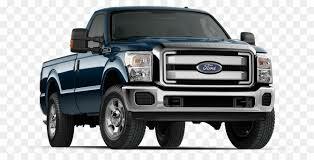 Ford dealers were told the tailgate problems could be fixed by the following methods. 2017 F-Super Duty 6.2-liter: Inspect connectors and replace the wire harness and include the time to remove/install the fuel tank, evaporative emission canister and replace one of the female side connectors. 2017 F-Super Duty 6.7-liter: Inspect connectors and replace the wire harnesses and include the time to remove/install the fuel and reductant tanks and to replace one of the female side connectors. NHTSA’s investigation could be concluded in various ways. It’s possible safety regulators may find nothing wrong to indicate a safety defect, or they could upgrade the investigation. It’s also possible NHTSA could find what it believes to be a safety defect and request that Ford orders an official F-250 and F-350 tailgate recall.